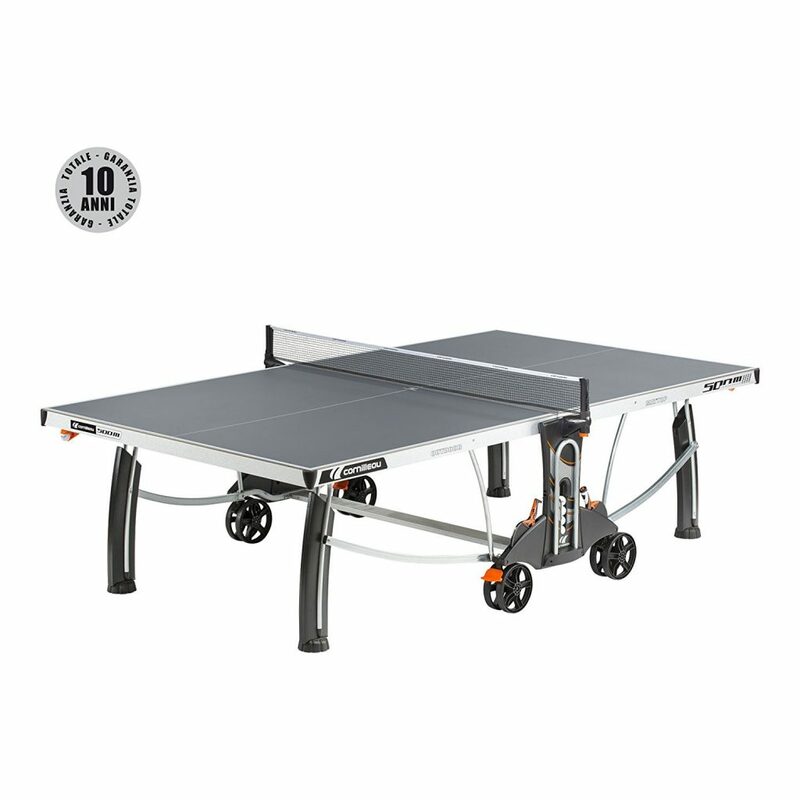 Safety Features – The DSI Locking System is the best in the industry – another reason why the tables are so much more expensive than the competition. 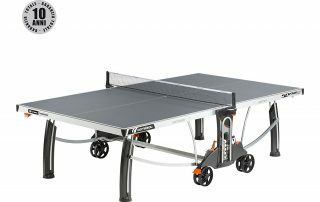 The table will be fully locked in storage or playing positions – safe for all the kids that might be around the outdoor table. There are actually 16 locking points with the 500M. The corner protection pads are also what parents appreciate on an outdoor table. 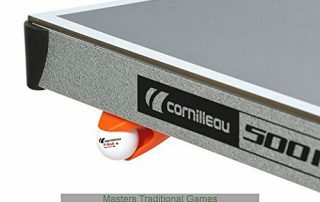 We all know kids tend to run around when outdoors and having those pads on the corners means they are protected if they happen to hit that section of the Cornilleau 500M. 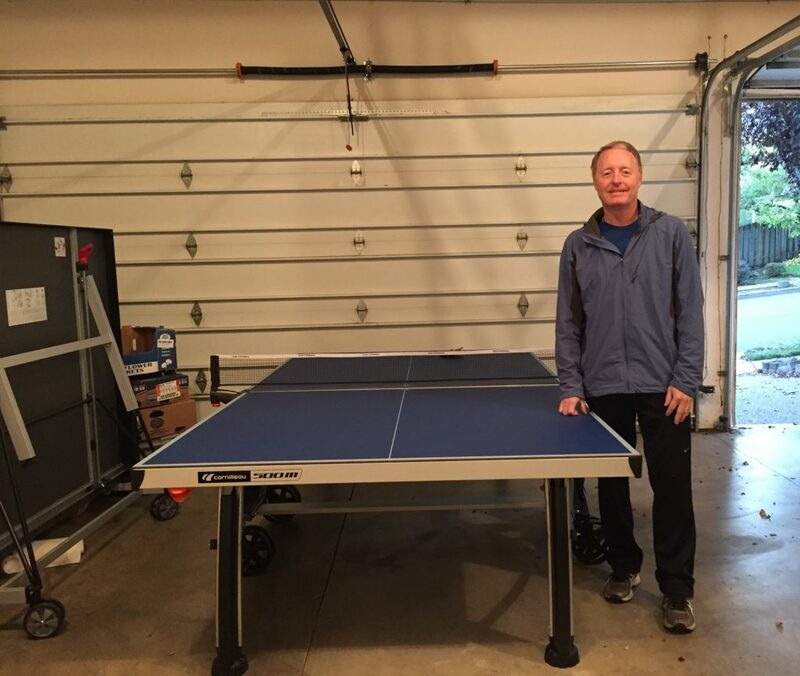 Assembly – We hear it all the time with ping pong tables – they take too long to assemble. 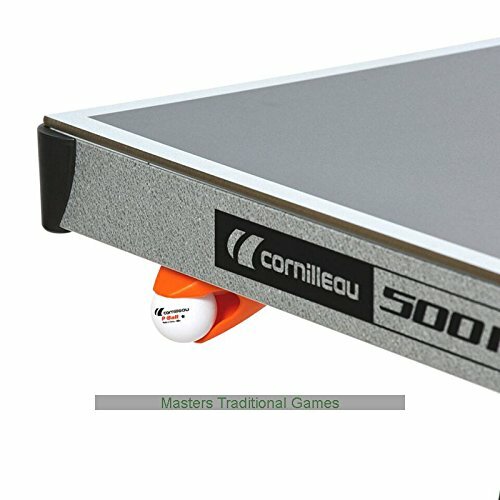 The Cornilleau 500M is not quite as fast to put together as say the Killerspin or JOOLA brands, but expect to spend about 90 minutes getting it all together and ready to play on. 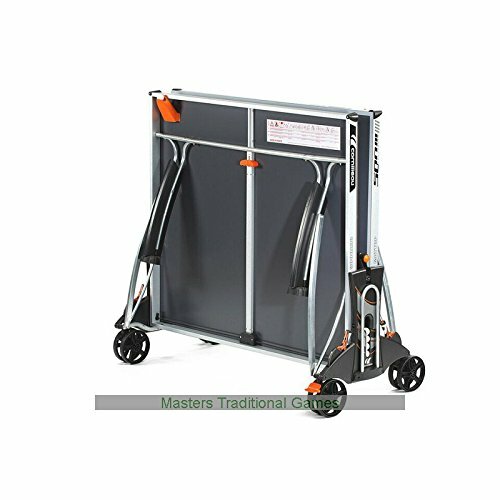 There is roughly 10 minutes or so where having a 2nd pair of hands is required as you need to lift the table panels into position. Otherwise, the instructions are very good and we have provided an excellent video to the right which shows the entire assembly process from the first step to the last. Watch the video if you are having any difficulties at all. 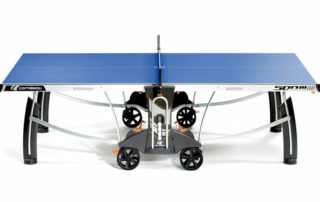 We have assembled this exact model several times for clients and it now only takes us 1 hour. 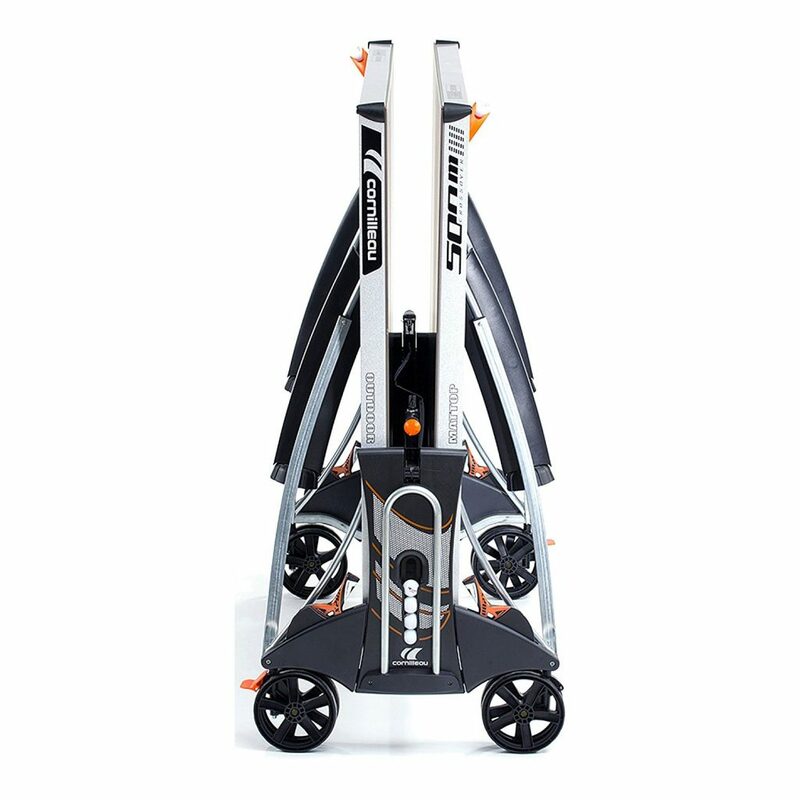 Moving/Storage – There are 4 sets of double wheels (2 have brakes). 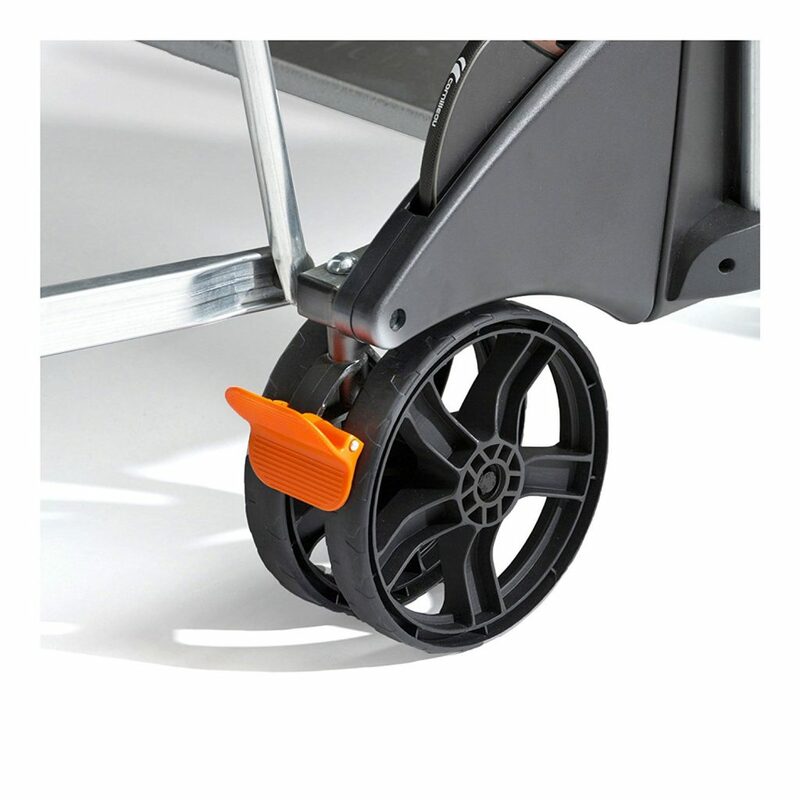 Easily roll the table to where you want to go and secure in place with the brake system. 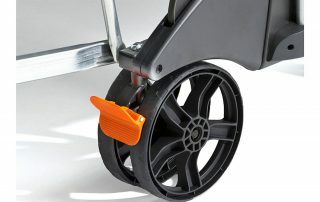 We have found the wheels to be heavy duty enough to roll across grass, dirt, and rocks. 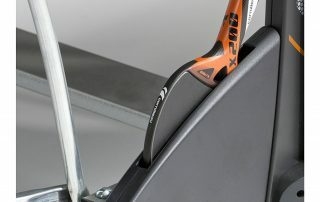 In the photo below you will notice the upside down U-shaped handle that Cornilleau put on the table between the wheels. 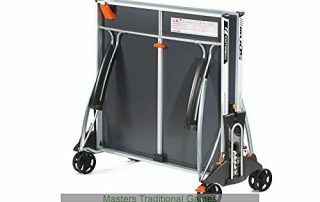 This helps you get leverage to maneuver and lift the table over or around obstacles like steps, doorways, shrubs, etc. 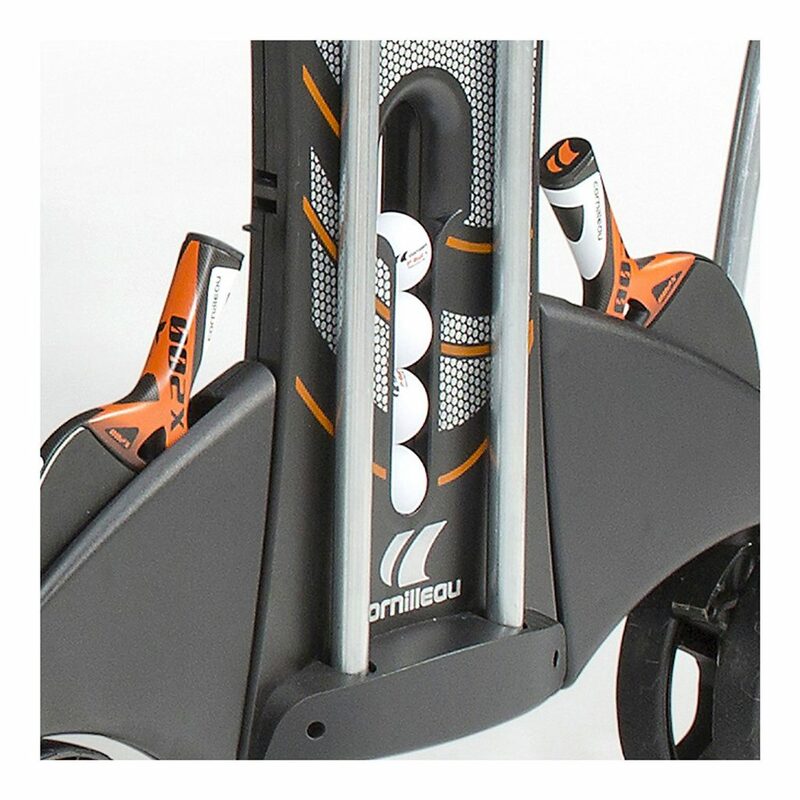 The weatherproof net on the Cornilleau 500M is both adjustable for height and tension. Another feature of the net that is unique to these tables is that the net is retractable. The net will retract between the two panels when going into storage mode. That way the table can fit into tighter spaces with nothing hanging off the edge. 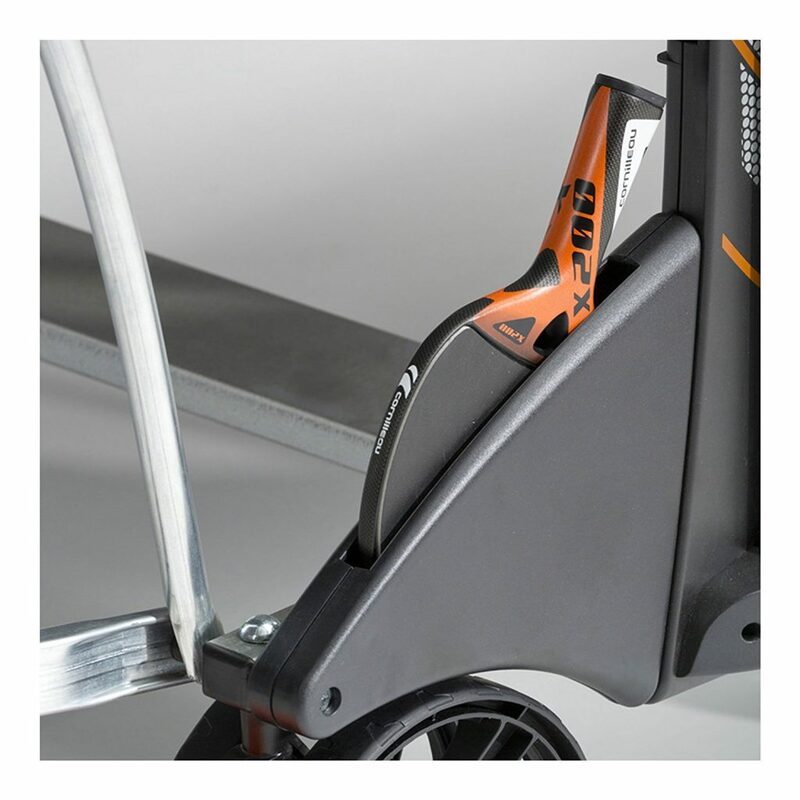 To put the table into storage mode, simply reach down below the table and grab the orange handle and pull. It’s a one man job and very safe to use. 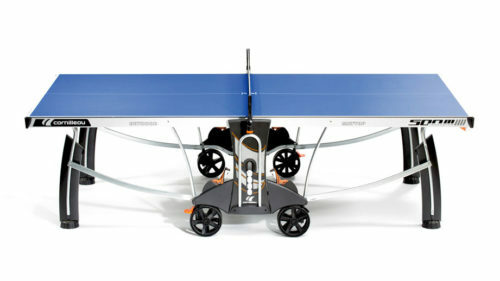 Other Features – There is storage on the side of the table (above the wheels and below the net) for 4 ping pong paddles and 8 ping pong balls. 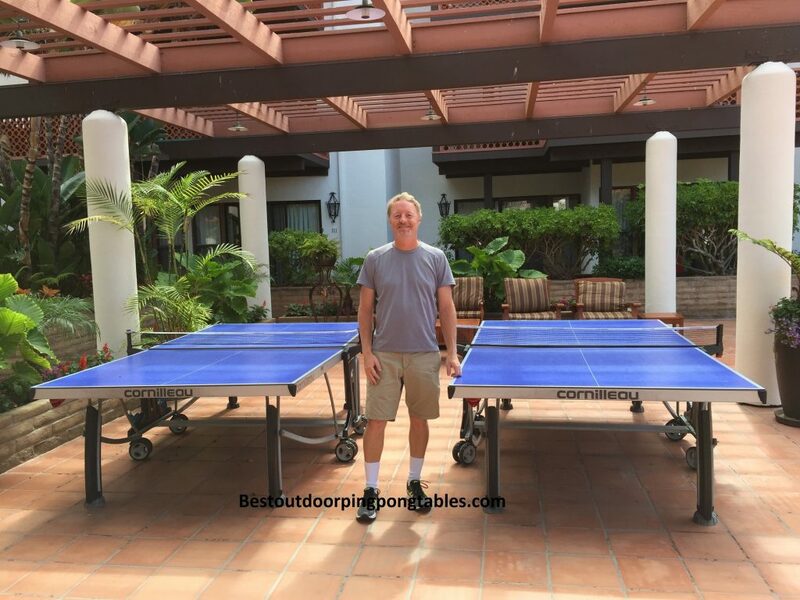 We also like the ball dispensers that are placed right below the end of the table where a player can quickly and easily grab a new ball and put it into play and not have to chase a ball every time it goes off the table. 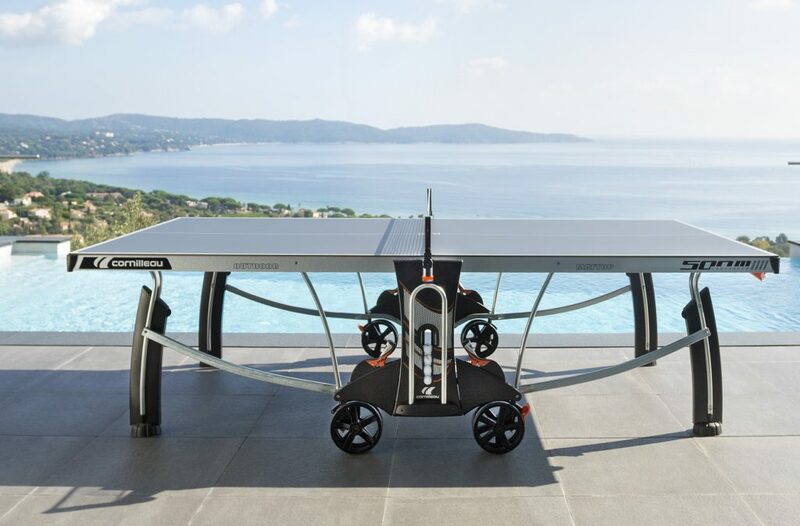 Again, the little things that Cornilleau includes with their tables makes all the difference when you are looking for the best ping pong table. 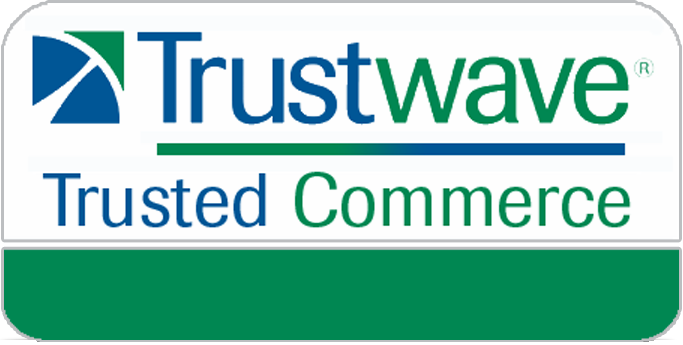 Drawbacks – There are only a few with the table and it’s hard to say that price should be an issue, but we know it is for many of you. At $1650 the 500M from Cornilleau is expensive. The Cornilleau 400M has really only one major difference with the 500M and that is the 400M features a 6mm resin top versus the 7mm you find on the 500M. At a few hundred less in price, it’s worth a look if you want to save a little money.